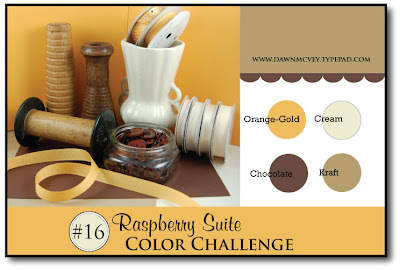 Beautiful color combo and I love the way you combined these different elements to make a totally mod card! Oh WOW, I took one look at your card and thought you combined the colors so well! Love the harmony! love this!! i love the ribon detail and button!! love it all! :) have fun painting!! Holy cuteness batman! Love it! This is lovely. I can't believe how you can make these things work because I don't know if I would use some of the elements but you are able to make it into this fabulous mod card. Love the wooden flower brad. Could you tell me where you got it? Yes, I have a feeling Winter is right. SUCH A CUTE card girl!! I soo need to email you! Sorry, things have been crazy lately! I'll try to write soon! This is AWESOME! I LOVE the layout and popped up wing! It has a wonderful geometric feel to it...CUTE!!!! SERIOUSLY---gorgeous! So glad I didn't see yours before I did mine...or mine would have hit the bin. I so love your homemade dp. Wow...this card will definitely be spotlighted! 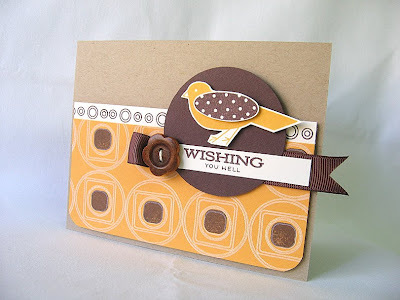 Gorgeous card, Maile! Love it Maile! Hope you got some good painting done! Beautiful, Maile! Love that DP! Pretty card! I love seeing the Shapes by Design set used here to make the background! I love that set, but always have trouble figuring out what to do with it! Awesome card!!!! 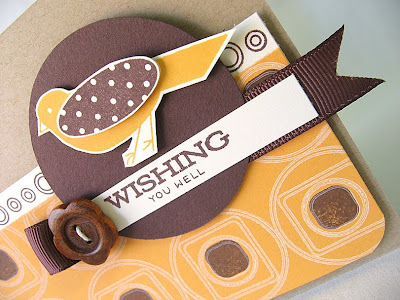 Love the birdie stamp and the wooden flower!!!! WOW!! This card is simply amazing!! You rocked that challenge!